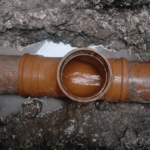 The heatwave being experienced across Britain during summer 2018 may lead to an autumn and winter of increased tree root infestation problems in drainage pipes. Prolonged periods of dry weather can cause significant soil cracking and ground movement, which can increase the risk of displacement and cracking drainage pipes. This, in turn, gives tree roots, which are also searching for scarce water supplies during drought conditions, better access to drain pipes, increasing the chance that roots take hold and contribute to serous blockages. The probability that climate change will make this process more common is one of the topics in a new UKDN Waterflow (LG) White Paper: Trees – Getting To The Root Of The Issue. UKDN Waterflow (LG) Ltd Director Richard Leigh, who is the White Paper’s author, said: “Trees are a much-appreciated part of our landscape. Their presence is often associated with sustainable development and a healthy environment. “But trees can cause problems, as the heightened risks associated with drainage systems and drought indicate. 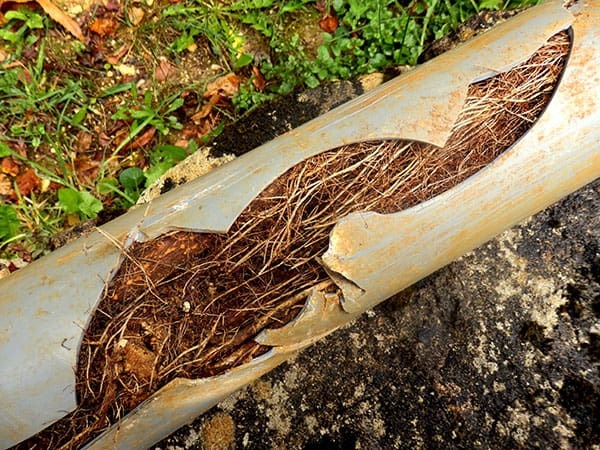 Around 4 per cent of all drainage investigation and repair jobs UKDN Waterflow (LG) is called out to involved tree root infestation of pipes. Once tree roots have gained entry into pipes they can have a significant impact on its water carrying efficiency. They can build up significant density in long lengths of pipe, then during heavy rain water backs up and causes flooding. Roots also combine with other materials, such as fats, oils, and grease, sanitary products, and wet wipes to make sewage and pipe blockages worse. Clay pipes as particularly prone to root ingress, due to gaps in the joints between each section of pipe. However, modern plastic pipe systems are also affected, and there is research that indicates rubber seals that connect plastic piping are prone to failure under pressure from tree roots. In the White Paper, Richard Leigh warns that there is a growing need to factor in climate change to tree and drainage management. In California, USA, efforts to conserve water during droughts have had unforeseen consequences. Ground movement caused by soil shrinkage has increased pipe damage, increasing the risk of tree root infiltration. As consumers have responded to calls to save water, lower water flows have led to more pipe blockages. In countries like Australia, species include fig trees, rubber plants, camphor laurel, and large gum trees. All are considered to pose an extreme or very high risk of sewer pipe infiltration. The best way to guard against tree root ingress is to put in place a rigorous planned and preventative maintenance (PPM) programme. Review tree planting plans and avoid species that have particularly vigorous root systems, such as willow, plane, poplar, and maple. Removing tree roots with the most appropriate, cost-effective no-dig method. This may involve high pressure water jetting, electro-mechanical cutting, or robotic cutting. Pipes that are most at risk of tree root infiltration can also be protected by the installation of a glass reinforced plastic liner, creating a strong barrier to roots. For more information, about root ingress and the impacts that tree roots can have on our drainage systems please download a copy of our white paper document, Drain maintenance: getting to the root of the issue.